Peter Dodd Funeral Directors pride ourselves on being an established part of our local community. 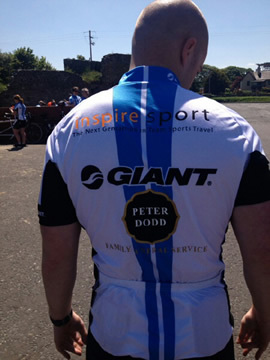 We were delighted to be sponsors of the SAFC Foundation of Light Dublin to Sunderland sponsored cycle ride. 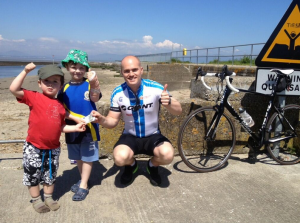 A group of intrepid cyclists raised £40,000 for the North East charity after pedalling 380 miles across the UK and Ireland. 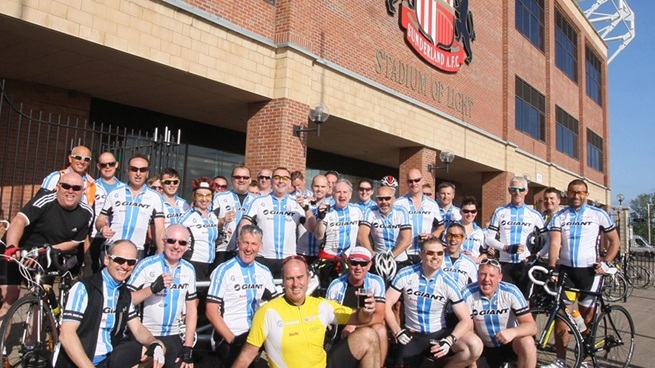 The 30 cyclists, of all ages and abilities, travelled from the Carlton Hotel at Blanchardstown, Dublin and were joined by a further six riders on the Scottish leg and ‘Final Fifty’ to complete the journey to the Stadium of Light, Sunderland, raising money for SAFC’s official charity The Foundation of Light.